Even as a young boy, O’Neill knows he wants to be a special agent for the FBI, although he also flirts with the idea of being either a priest or an archeologist. One of his favorite television shows is The FBI. When he gets older he will tell friends that he was inspired by Efrem Zimbalist, Jr., the actor who played Agent Lewis Erskine in the show. During his first college semester, O’Neill marries Christine O’Neill, who had been his high school girlfriend. While in college, O’Neill takes his first job at the FBI. He works as a fingerprint clerk, and later as a tour guide at FBI Headquarters in Washington. In 1974, O’Neill graduates with a degree in administration of justice from American University and a few years later earns a masters in forensics from George Washington University. 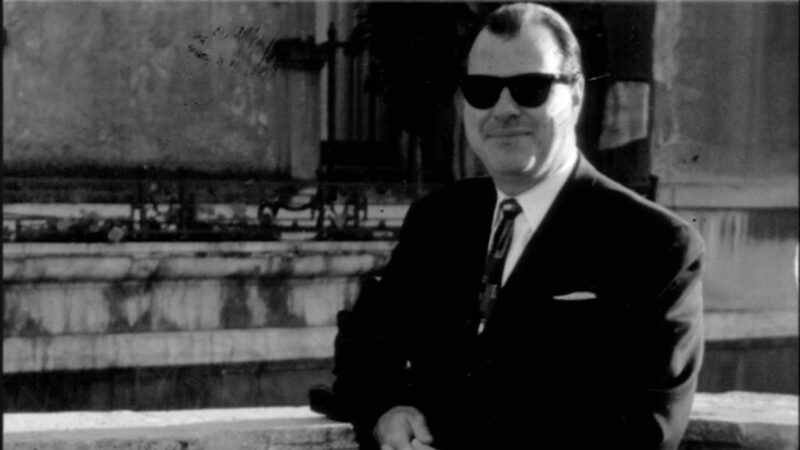 In 1976, O’Neill is hired as an FBI agent. Over the next 15 years, he gains experience in various FBI areas, including organized crime, white-collar crime and foreign counterintelligence. In 1991, he is appointed chief of the government fraud unit at FBI headquarters. A few months after being named to the government fraud unit, O’Neill is appointed assistant special agent in charge (ASAC) in Chicago. There, he supervises the violent crime, white collar crime, and organized crime programs. The move is an important promotion, but his wife and two children decide not to join him. In Chicago, O’Neill establishes the Fugitive Task Force, an interagency group that brings together federal agents and local police. Valerie James meets O’Neill after sending him a drink in a bar. O’Neill, who tends to keep different parts of his life compartmentalized, does not tell James about his family. She learns about them two years later from the wife of one of O’Neill’s co-workers. The FBI tracks and arrests several suspects and names Ramzi Yousef as the plot’s mastermind. Still in Chicago, O’Neill is not directly involved in the initial investigation. O’Neill’s first major chance to prove his talent to FBI brass in Washington comes when he is appointed to supervise VAPCON, a task force investigating violence against abortion providers. With this appointment in Washington, O’Neill coordinates and oversees counterterrorism investigations nationwide. He is the FBI’s main liaison with other agencies, including the NSC and CIA. Anxious to start his new job, O’Neill shows up at his office on his first day in Washington — a Sunday morning. It’s the same morning Richard Clarke, head of counterterrorism at the National Security Council, discovers that Ramzi Yousef has been located in Pakistan. Clarke calls the FBI Counterterrorism Section on the off chance someone would be there. When Clarke asks who’s answering the phone, O’Neill replies, “Well, who the hell are you? I’m John O’Neill.” O’Neill spends the next few days working around the clock on Yousef’s successful capture by FBI, DEA, and State Department agents. 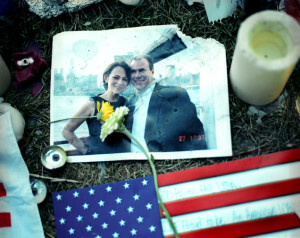 After Yousef’s capture, O’Neill begins immersing himself in everything he can learn about the 1993 World Trade Center bombing, Ramzi Yousef and Islamic militants. The blast kills 19 American soldiers and injures 500 others. At first bin Laden is a suspect, but U.S. officials later conclude the plotters were probably linked to the Iranian government. O’Neill’s new position at the FBI’s New York office puts him in charge of about 350 agents. And he hopes it positions him for the job he really wants — assistant director in charge of the New York field office. O’Neill dives into New York City’s culture with Valerie James, who has moved there from Chicago. While he has many haunts, one of his favorites is Elaine’s, a restaurant catering to the famous and powerful. O’Neill also makes good use of New York to entertain visiting overseas law enforcement and intelligence officers. A May Associated Press article on Islamic terrorism quotes O’Neill as saying that various terrorists groups are operating within the U.S. “A lot of these groups now have the capacity and the support infrastructure in the United States to attack us here if they chose to,” he states. FBI Deputy Director Robert “Bear” Bryant, consulting with O’Neill and others, writes a report calling for the FBI to change the way it fights terrorism. The report advocates a centralized information system to collect data and help predict future attacks. Bryant also endorses assigning some agents to spend their entire career working counterterrorism cases. “I think it was never funded. It was put on the backburner somewhere,” Bryant tells FRONTLINE. O’Neill’s friend, ABC producer Chris Isham, arranges the interview. Some of O’Neill’s information helps Isham and Miller draw up their questions for bin Laden. Isham tells FRONTLINE that O’Neill was desperate to watch the footage of the entire interview, even though ABC had a policy against releasing the outtakes. “He wasn’t taking no for an answer,” he says. Isham ultimately compromised by putting the entire interview on the ABC News Web site. Watch the full bin Laden interview. Truck bombs kill 224 and injure thousands in the two blasts. Within minutes of hearing the news, O’Neill rushes to Assistant Director Lewis Schiliro’s office to argue that only Al Qaeda could have carried out such a sophisticated attack. He’s eager to be named on-scene commander and for the New York office to be designated the FBI team handling the investigation, although the Washington field office traditionally handled crimes against embassies. A turf war erupts between New York and Washington. Washington is initially chosen to lead the investigation, but FBI headquarters reverses itself and a few weeks later gives the case to O’Neill’s New York team. However Washington refuses to send O’Neill himself. In the course of attending a FBI function, O’Neill’s car breaks down near an FBI safe house. He allows Valerie James to use the bathroom and borrows a bureau car. When the incident is discovered, headquarters opened a formal inquiry and O’Neill is disciplined for a security breach and unauthorized use of government property. He applies for a second position — this time for an opening as assistant director for the counterterrorism division, but loses out to Dale Watson. Finally, the one opening O’Neill really wants — head of the FBI’s New York office — becomes available. Again O’Neill is not chosen. Barry Mawn gets the post. On Dec. 14, Ahmed Ressam is intercepted at the Canadian border carrying 130 pounds of explosives. O’Neill and the interagency Joint Terrorism Task Force work around the clock to monitor and arrest suspected terrorists. The Justice Department is so concerned that Attorney General Janet Reno orally approves intelligence wiretaps. “We believe for the first time they’re really planning to hit on our own soil, and that scares the life out of us,” DOJ official Fran Townsend tells FRONTLINE. O’Neill orders his agents to monitor wiretaps real time and cancels Christmas leave. In a July 2001 speech in Spain, O’Neill points to the millennium investigation as a model of good law enforcement. It underscored his core belief that in the fight against terrorism, everyone had to work together: “The coordinated approach of federal, state, and local law enforcement entities was integral to efforts to disrupt the alleged terrorist plot and greatly contributed to the presentation of evidence in the trial of Ahmed Ressam,” he tells the gathering. O’Neill decides to return directly to New York and reports the incident. A fingerprint dusting reveals no documents were touched, but the Justice Department opens an investigation. While he would be cleared of any criminal wrongdoing, the incident shadows the rest of his FBI career. Seventeen American sailors are killed in the attack on the naval destroyer. O’Neill immediately goes to Assistant Director Barry Mawn to convince him that New York needs to act quickly to be named the lead office in the investigation. Mawn agrees. As with the East Africa bombings, O’Neill lobbies to be the on-scene commander. However, headquarters in Washington again has concerns about sending O’Neill. In the end, Mawn convinces Director Louis Freeh that the New York office should run the investigation with O’Neill as on-scene commander. Arriving in Yemen, O’Neill finds challenging field conditions. His agents confront 102-degree heat and a cramped, unsecured hotel for their quarters. O’Neill soon finds himself clashing with Barbara Bodine, the U.S. ambassador to Yemen, who is concerned about the number of FBI agents and military personnel flooding into the country after the bombing. O’Neill argues that the FBI needs resources to thoroughly investigate the attack. Bodine has different priorities, including maintaining good relations with Yemen. “I had to act as a cultural interpreter. They have endured first British colonialism, and then the Soviets. These people have only had foreigners telling them what to do. Now O’Neill and his men were coming in, doing essentially the same thing,” Bodine later told Britain’s The Sunday Times. As relations between the two sour, the number of topics they disagree on multiplies. O’Neill wants a heavily-armed security presence; Bodine wants the agents to be unarmed. O’Neill wants to have direct access to Yemeni officials; Bodine feels she should supervise encounters. As O’Neill starts to seek support from Barry Mawn and other FBI officials back in the U.S., the cables sent by Bodine to the State Department become increasingly critical of O’Neill. It reaches the point where Louis Freeh and Janet Reno become personally involved in the dispute. Taking a break, O’Neill flies back to New York. Valerie James tells FRONTLINE that he had lost over 20 pounds during his month-long stay in Yemen. From the spring through summer of 2001, the FBI receives a number of indications that there is a serious threat of another terrorist attack. O’Neill focuses on the USS Cole investigation on the theory that it will lead to a better understanding of Al Qaeda and the intelligence necessary to thwart another attack. O’Neill and Barry Mawn agree their agents in Yemen could not be protected. “We were operating with three SWAT personnel as support as far as security goes, and an open hotel just wasn’t going to work. We couldn’t provide protection,” says former FBI agent Clint Guenther. He hears about a job opening as head of security at the World Trade Center. It would mean a significant salary increase, but also it would mean leaving the FBI. By this point, however, O’Neill realizes his chances for a promotion were severely hurt by the briefcase incident. In addition to career problems, entertaining foreign visitors and O’Neill’s lifestyle had left him in debt. The job at the World Trade Center would give him a chance to pay off that debt. The memo makes its way to FBI headquarters but it is not passed on to O’Neill or Mawn in the New York office — nor is the struggle the following month of the Minnesota FBI office to investigate the alleged 20th hijacker, Zacarias Moussaoui. The Times story quotes an anonymous source, whom O’Neill believes is Tom Pickard. O’Neill confronts Pickard who denies that he was the source of the leak. O’Neill also e-mails Lou Gunn, whose son had died in the Cole attack, to tell him that he was retiring, but that the FBI was returning to Yemen. On the eve of Sept. 11, O’Neill is with friends on the town. According to Jerry Hauer, O’Neill warns him that night: “We’re due for something big.” O’Neill explains, “I don’t like the way things are lining up in Afghanistan.” Still, O’Neill tells friends that he is happy about his new job. “[It] doesn’t get better than this,” he says. O’Neill is in his 34th floor office in the North Tower at 8:46 a.m. when American Airlines Flight 11 crashes into it. Among others, O’Neill calls Valerie James once he is outside the building. He asks her what hit the building and tells her, “Val, it’s horrible. There are body parts everywhere.” A few seconds later he tells her, “Okay, I’ll call you in a little bit.” O’Neill also sends a text message to Fran Townsend to report that he is okay. In the minutes after the attack, O’Neill makes his way to the command center that had been set up. There he sees FBI agent Wesley Wong. Wong would tell Esquire magazine later, “He was in FBI mode. Then he turned and kind of looked at me and went toward the interior of the complex. From the time John walked away to the time the building collapsed was certainly not more than a half hour or 20 minutes.” Wong is the last person to see him alive. A week after his body is found in the debris of the South Tower, about a thousand mourners attend John O’Neill’s service in Atlantic City. Barry Mawn, one of the speakers, tells the gathering that O’Neill didn’t resign from the FBI because of the briefcase incident. Mawn says that he felt it was important to clear up some of the things people were saying about O’Neill’s departure. “He didn’t run from a fight. He didn’t retire because this was a serious matter. He retired because circumstances were right and it was a good job,” Mawn tells FRONTLINE. Following the service, John O’Neill is buried in the churchyard of St. Nicholas of Tolentine Church, the church where he once served as an altar boy.